My painting ‘Winter Solstice’ is part of the ‘Abstracted‘ exhibition. 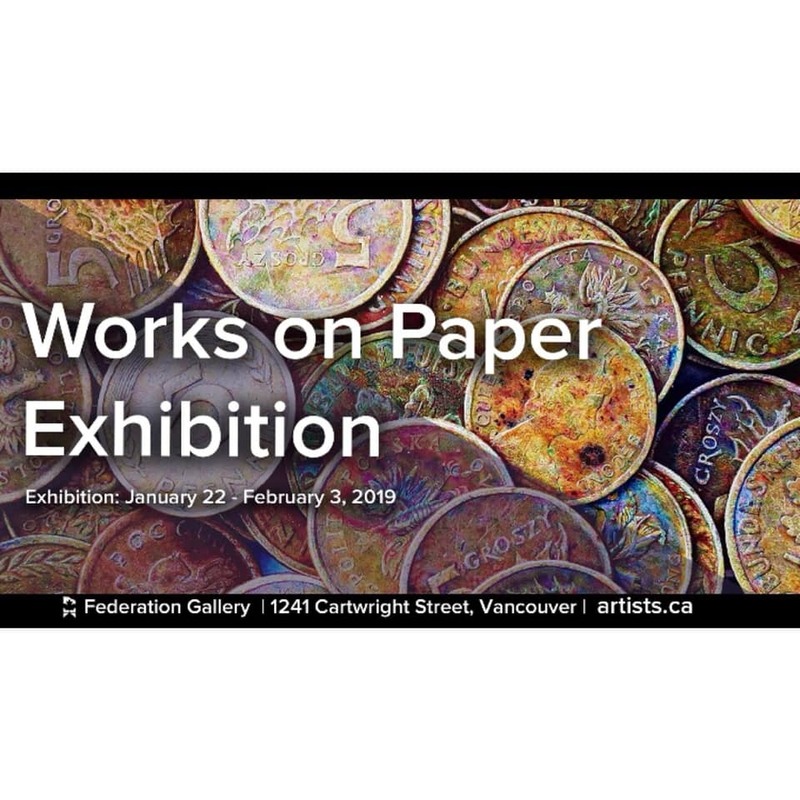 The show is on until March 16th at the Federation Gallery on Granville Island! My painting ‘Honfleur Fleet’ is part of the Works on Paper Exhibition. 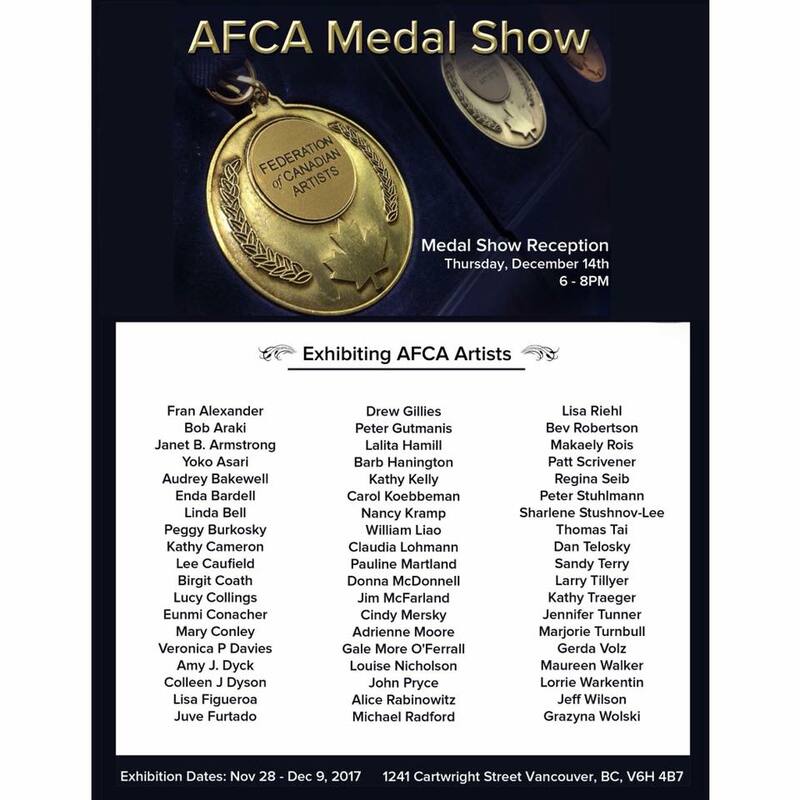 The show is on until February 3rd at the Federation Gallery on Granville Island! Just reflecting on last month’s visit to Ontario to see Robert Lepage’s “Coriolanus” in Stratford, with costumes designed by the very talented Mara Gottler. An overnight in Toronto allowed for visits to the ROM and to the Anthropocene exhibit at the AGO. 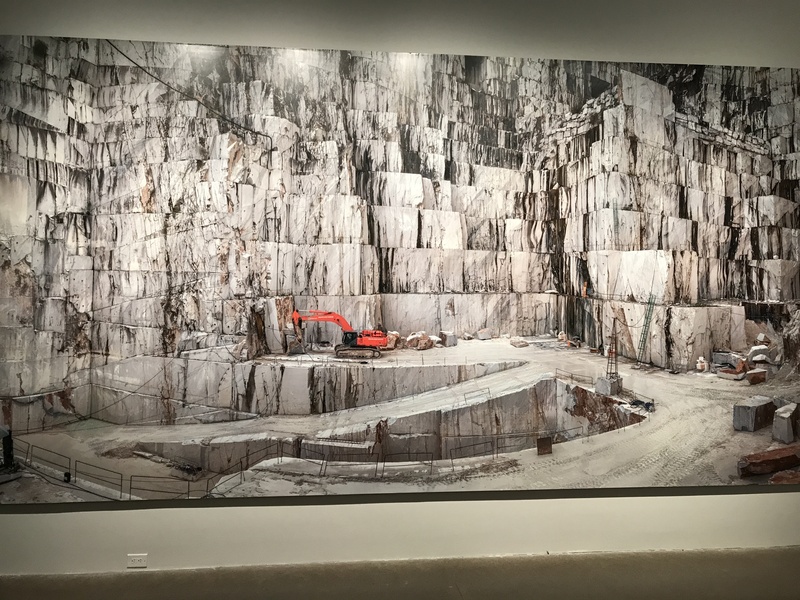 Burtynsky’s images in particular resonated with me as the recent report on the gathering storm of climate change hit the news this week. Liking stone as I do, the quarry photo above was a favourite, capturing the beautiful and terrible changes we have made to our environment. We are reminded that we all have a responsibility to the world around us; being responsible, however, does not preclude seeing beauty in whatever form it arises. 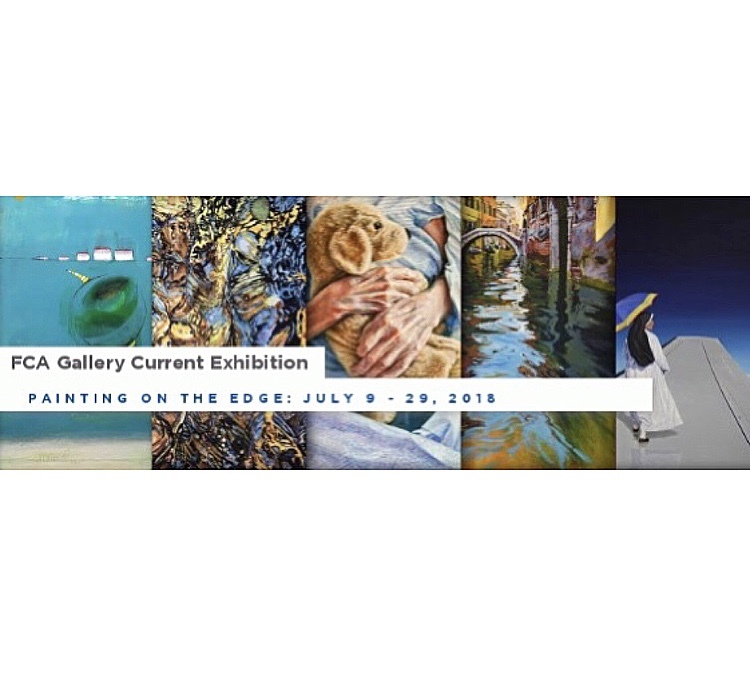 Painting On The Edge 2018, the Federation of Canadian Artists‘ international competition and exhibition that celebrates innovation and experimentation is on until July 29th at the Federation Gallery on Granville Island. My painting “Autumn Water” is in the show; if you can’t make it in person, you can take a look online! Nanaimo Museum‘s recently opened exhibit, “A Call for Justice: Fighting for Japanese Redress”, added a few, new to me, insights regarding the Japanese Canadian internment following the attack on Pearl Harbour. I had not realized, for example, that long after the rest of Canada had admitted the injustice done to these citizens, British Columbia continued with their forced expatriation to Japan. It seems their entrepreneurial success was resented. I now understand how the father of a friend, who had resettled in Toronto after being dispossessed of his Vancouver business, refused to ever again venture west of the Rockies. 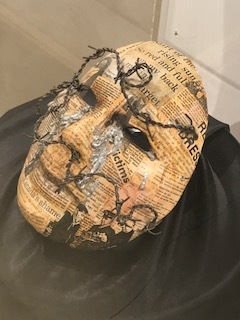 Haruko Okano‘s newspaper-covered mask, “Canada’s Shame”, with its metal tears and barb wire strapping, creates a powerful image of the media lens through which these citizens were viewed, and the mental and physical pain inflicted on a silenced people. Also on display was Takeo Tanabe‘s ethereal westcoast print, used to fund the marches that eventually led to Brian Mulroney’s national apology in 1988 to “the enemy that never was”. Wonderful to see a bright, funky new art gallery in Nanaimo, Gallery Merrick. Everything from oils, acrylics and even watercolours, interspersed with sculpture. This amazing two level gallery in the heart of downtown sets a standard for revitalizing the city core. 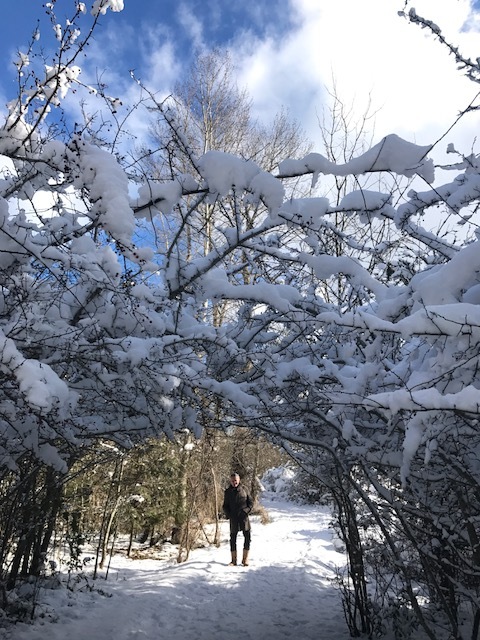 Half frozen over, covered with snow in brilliant sunshine, Buttertubs Marsh was incredibly beautiful. The clumped snow on overhead bent branches and the cumulus clouds looked much alike against a cobalt blue sky. Red Hawthorne berries popped against the white, birds sang as though it were spring, ducks paddled within the encircling ice. Seeing the shadows on the snow in the bright oblique winter light were as blue as the sky overhead reminded me of the winter shadows in Monet’s painting “The Magpie”. Despite the beauty of this winter vista, I will certainly welcome an early spring. ‘Retro’, an online juried exhibition put on by the Federation of Canadian Artists​ opens today! This show remembers an earlier time, specifically anything pre-1980. 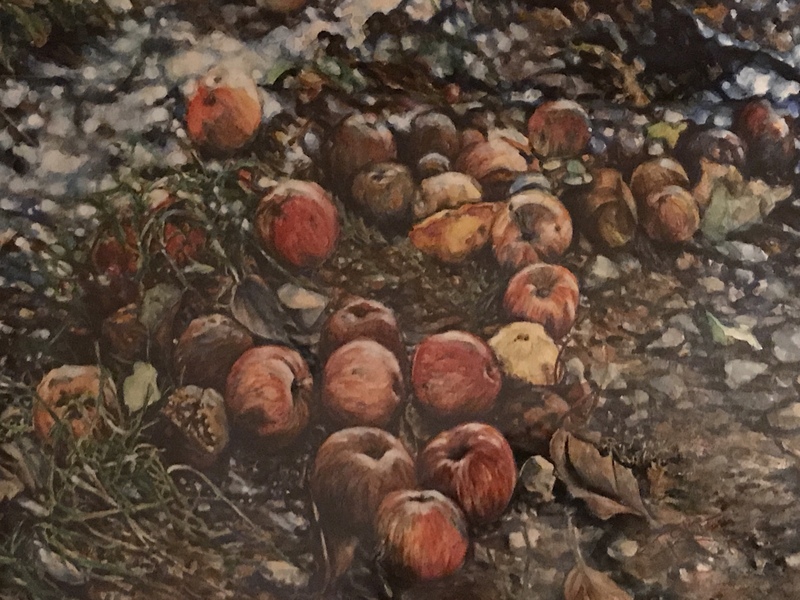 My painting “Fallen Apples” is featured; one of my all-time favourites, painted in 1979. 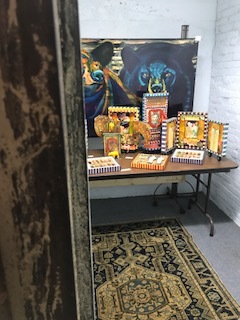 Check out the show until April 30th! When we visited Newfoundland’s Fogo Island in iceberg alley a few years ago, our mentor, New York photographer Alex Fradkin, extolled the virtues of fog. 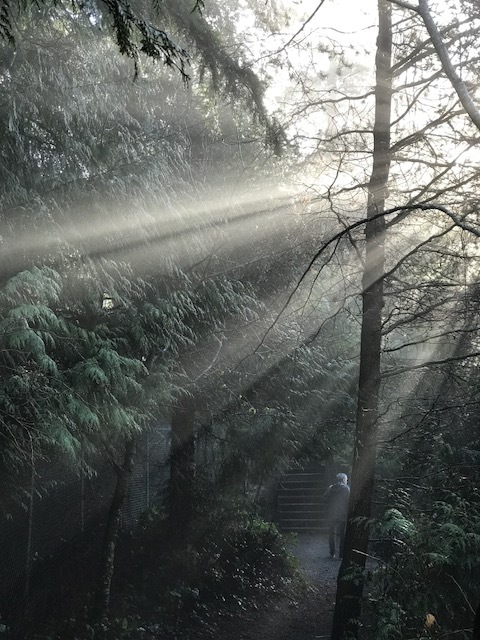 Waking again this morning to the plaintive moan of foghorns, an oddly soothing sound, I remembered his advice and went to Lost Lake in search, not of dense fog, which I could view outside my oceanside windows, but of the light breaking through the fog. The steady drip of condensation from the sculptural conifers had created layers of brilliant green moss on the fallen logs and rocks around the lake. Ducks and drowning cedar snags fractured the still water reflections of surrounding cliffs. In a moment, between the light and the fog—constantly changing parameters—an evanescent, Emily Carr image. If you can’t make it in person, you can view the exhibit online.